I did it, friends. I successfully completed my first 10k race! Thank you so much for your support on my last post, and even on my Instagram photos from that day. It was a pretty amazing morning, and the weather was just perfect. It was pretty cool to be part of such a huge crowd of people, ranging from first time racers to the seasoned veterans. The last I heard, Sporting Life raised over $2.2 million for Camp Oochigeas. That’s no small task, even for such a great cause! I haven’t been “into” running for much more than a year, but I already love race days for the sake of feeding off everyone’s energy. It’s funny how that is, since running is an individual sport. I think this positive energy helped me achieve a better time than I thought I could, though the primarily downhill nature of the course probably helped too. I was thrilled to learn that I finished the race in 1:04. Of course, the competitor in me is already aiming to get my time down to under an hour next year! Even though I had a few moments where I was really struggling (the last stretch was painful), I was so proud of myself because I didn’t stop to walk, except to grab a cup of water. It was a personal best. In a few weeks, I’m running the Spartan Race. I did this race last year, and expect it to be just as challenging this time around. Yes, for those of you that only know me through my blog, these photos of me covered in mud are…different. It’s really fun to get muddy and sweaty, but it’s also a lot of fun to throw on a pretty dress, isn’t it? 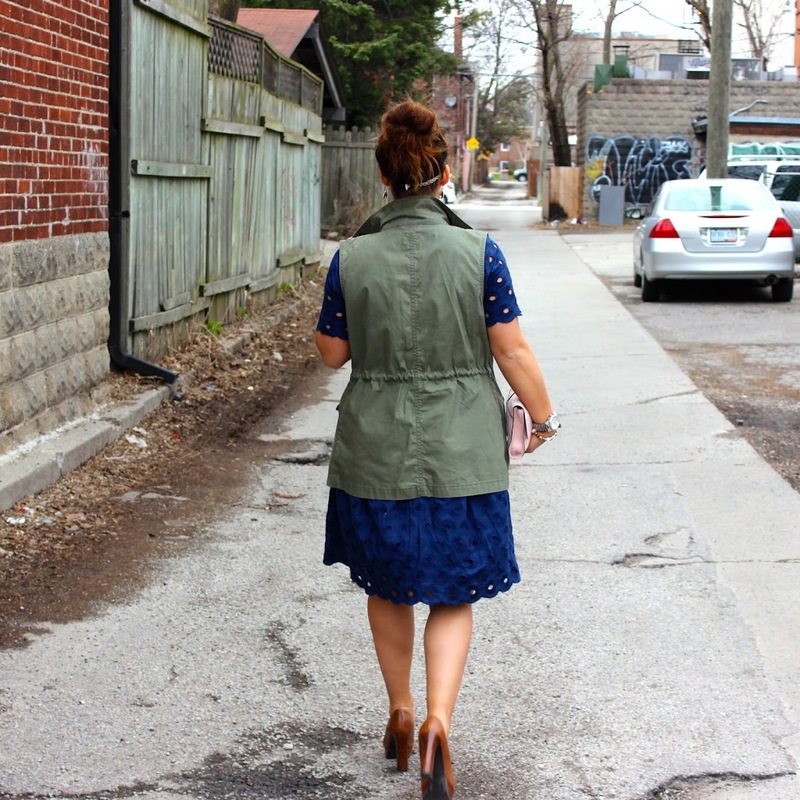 I recently wore my favourite cargo vest (last seen here) with a lace dress. I loved the contrast of different styles. These days, I’m all about the cargo on lace combination. What do you think? What “unexpected” activities do you participate in? 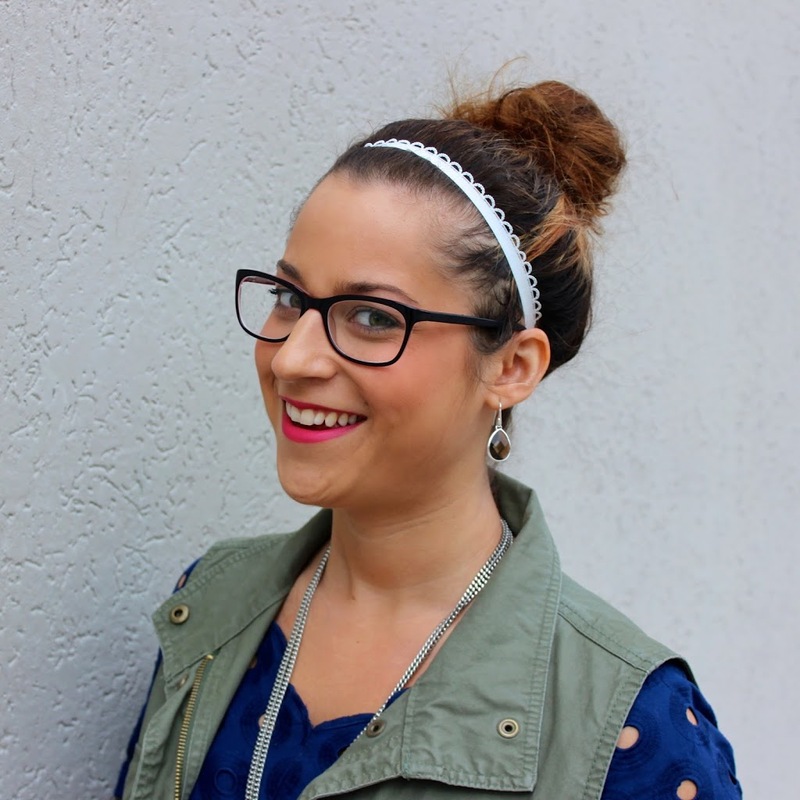 I love your hair up with the headband! It looks so pretty! So glad the race was a success! Congrats to you! LOVE this dress!! Great look! Congrats on completing the 10k. That’s stunning! And you look simply beautiful here. I love the scalloped edge on your dress! 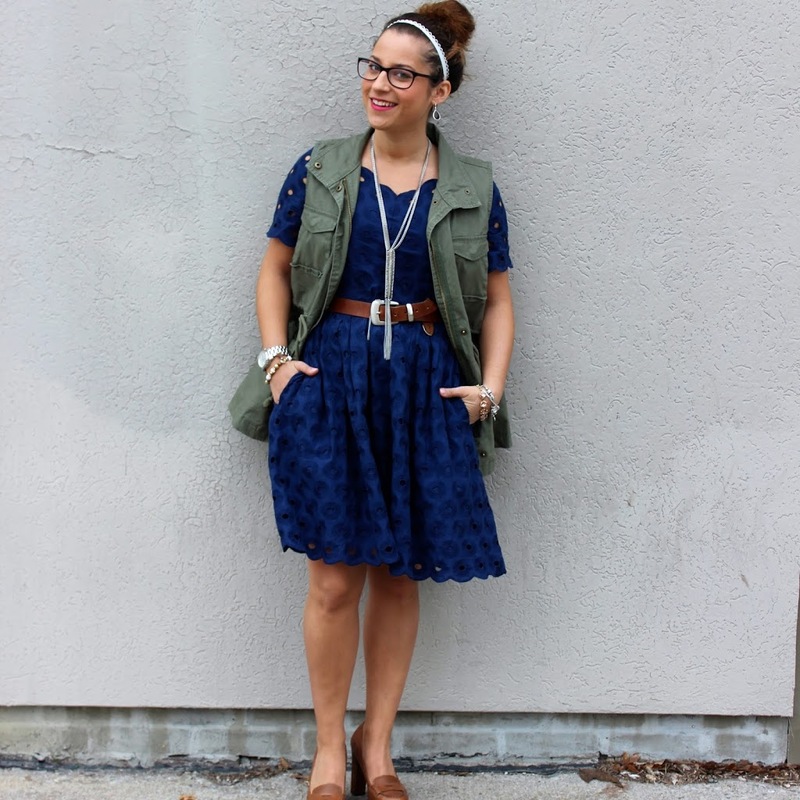 This is a beautifully unexpected color pairing <3 I love the navy/olive contrast. Fantastic dress! Love love love! I’ve worn it with a maxi dress, but that’s it. I really enjoy seeing your hair up too. So pretty Jackie! Congrats on the race, and good luck in the next one. My BFF and her brother did a similar one and they had a blast getting all covered in muck. I haven’t worn it with a maxi dress…yet. I recall getting some inpso from your post though. I didn’t think I could either, but it’s crazy what you can accomplish with some adrenaline! This color looks beautiful on you! 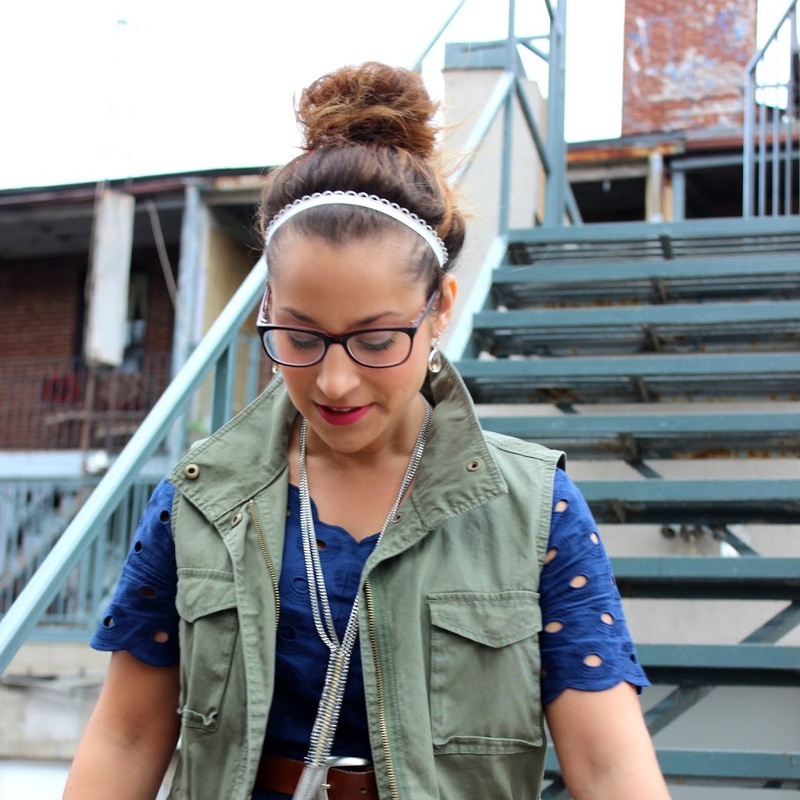 Love your vest too – great summer combination! You look very ladylike and poise. Congrats on your first 10k! That is awesome. I am just not a race kind of girl. I prefer running along. The thought of running with all of those other people totally freaks me out. Love this dress! And the vest looks great over it! Gorgeous! 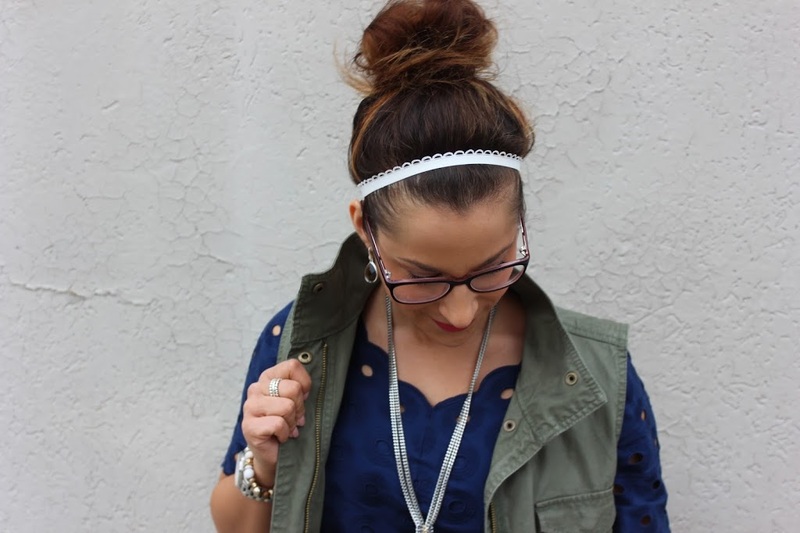 Loving the lace with military vest! The mix of styles is perfect! love the blue color of the dress!! Omg this look is adorable!! Love this blue dress! Your blog is beautiful I will stay tuned! The cargo adds the perfect edge to the girly lace. Love it! So cute! 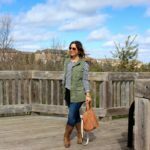 Love the cargo and lace! I actually pinned something similar the other day! Wow I love your dress! It’s amazing, purple really, really suits you! Great sense of style. 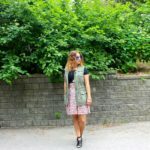 Such a fun look! Love how you mixed the cargo and lace to give it that feminine and masculine combination! You look great! And congrats on the 10K! Ah, girl this is STUNNING! LOVE every single aspect of it! this. is. beautiful. i’m going to copy this, and immediately. This is fabulous, and your make up is FLAWLESS! You look beautiful! Congrats on the race! I’m totally the same as you: not very into running these days but I love the race environment! Right now I’m waiting for registration to open for the San Fran Nike Half. Beautiful outfit, I love the dress and the heels – so gorgeous! Congrats on the race!!! 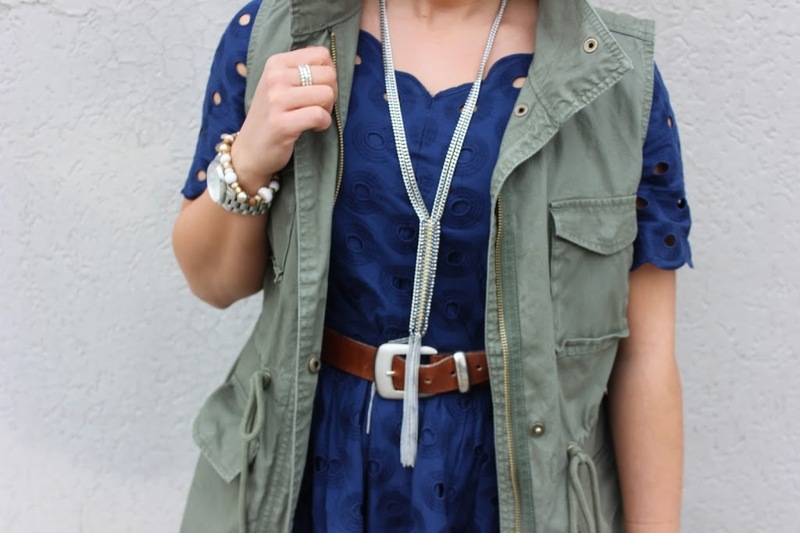 I love your vest and dress together! 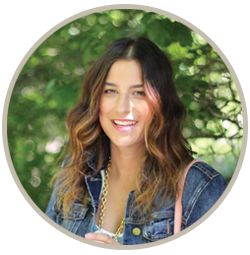 Your blog is so cute♥ Follow you now! Could you follow me back? I do reviews and make up too! Congrats on the 10k, babe! That’s amazing! you look so gorgeous! wonderful dress! Beautiful look! 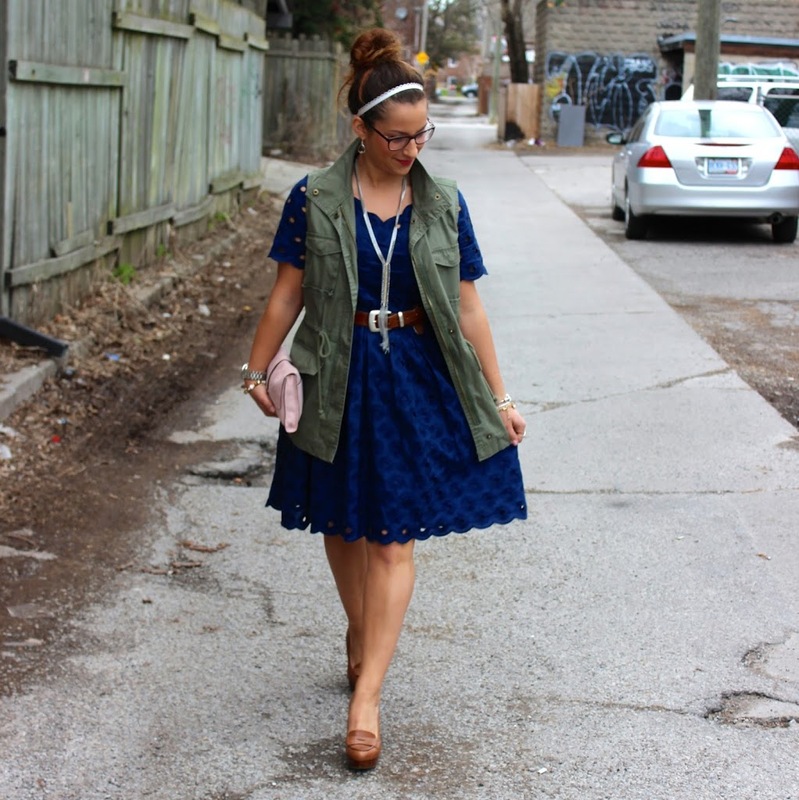 The dress is so pretty and feminine- and it looks really cool paired with the cargo vest. It’s an unexpected pairing, so it makes for a really creative, unique look. Great job!